Third day added to 2018 Winter SWL Fest–! The feedback from the 30th SWL Fest in March was consistently positive: People enjoyed having the extra day for forums and fun. We’ve decided to keep the 3rd day for 2018 — so begin making your plans now. The 31st (!) 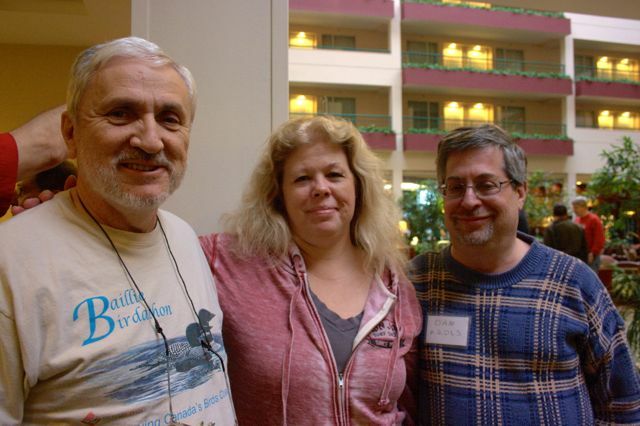 Annual Winter SWL Fest will be Thursday, March 1st through Saturday, March 3rd, at the Doubletree Guest Suites – Philadelphia West in Plymouth Meeting, PA.
We’ll start forums in the early afternoon on Thursday. Details to follow in the months ahead! Registration will begin in the autumn, though we will probably set up hotel registration before then. Updates will posted at the Fest website, http://www.swlfest.com. Thanks to all for supporting us in 2017 and all the prior years! I think this is absolutely brilliant news!Thanks for sharing, Rich, and I’ll see you at the ’18 Winter SWL Fest! This entry was posted in News, Shortwave Radio and tagged 2018 Winter SWL Fest, Richard Cuff, SWL Fest, Winter SWL Fest on May 14, 2017 by Thomas. Great news Rich, hope to see you and all the others at the ‘Fest in ’18 for the three days. Hope maybe a large flea market will be planned.